Testament, Megadeth, Arch Enemy, Exodus, Killswitch Engage and Devildriver all call the same man to lay the final hand on their albums: Britain's Andy Sneap. This highly in-demand producer/engineer has worked on numerous Grammy® Award-nominated albums, is known worldwide for having produced some of the heaviest releases this last decade and has had an instrumental role in shaping the sound of metal music as we know it in the new millennium. 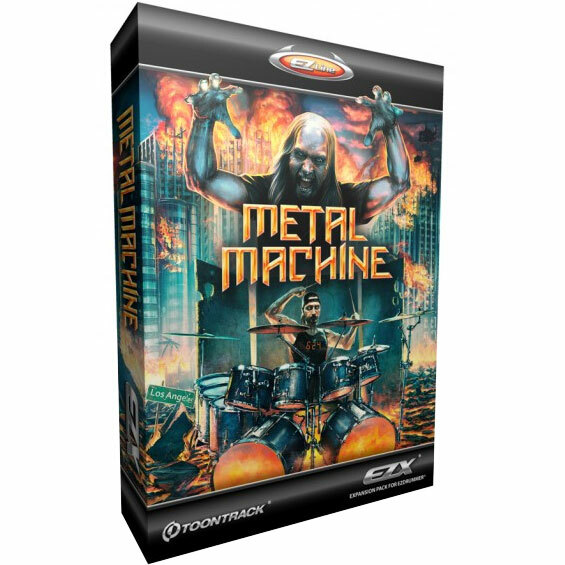 Now Toontrack is proud to present the first ever drum sample library to bear his unmistakable seal; Metal Machine EZX®. Recorded by powerhouse drummer John Tempesta (White Zombie, Testament, Helmet) in Los Angeles' Henson Recording Studios, formerly known as the A&M Studios, the Metal Machine EZX® lacks none of the metal traits you'd expect: the thunderous bass-drums, the ferocious in-your-face snares and the toms that will cut through your mixes with a crystal clear tone to die for. 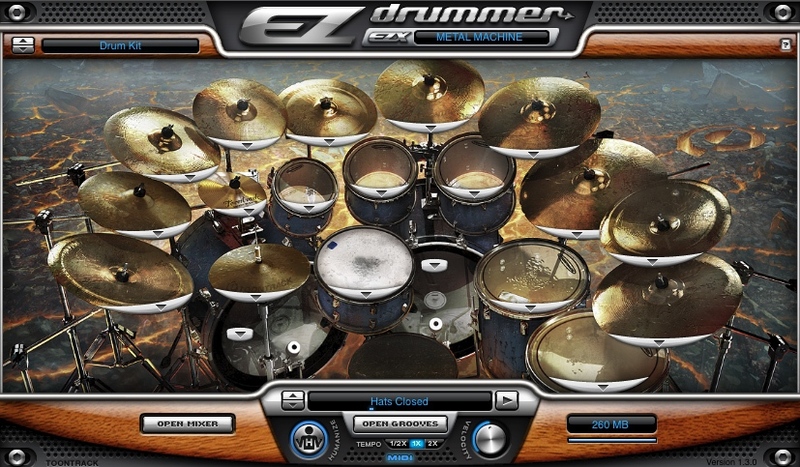 si no he instalado el superior drummer, es necesario de todas formas instalar ambas actualizaciones? o solo con la actualización del ezdrummer sería suficiente? ya instalé la actualización para el ez drummer porque no tengo el superior y aun así no puedo correrlo. Ya vi que el patch es para actualizar el .dll del ezdrummer pero sigue = me pide clave. Si hay algo más que se pueda hacer te lo agradeceré.